Fall seven times, stand up eight. In a galaxy far, far away exists a planet known as Hala. Hala is made up of Kree, a race of noble warriors who fight against those who are not nobel, such as the shape-shifting Skrulls, who are attempting to take the Kree’s planet by force. 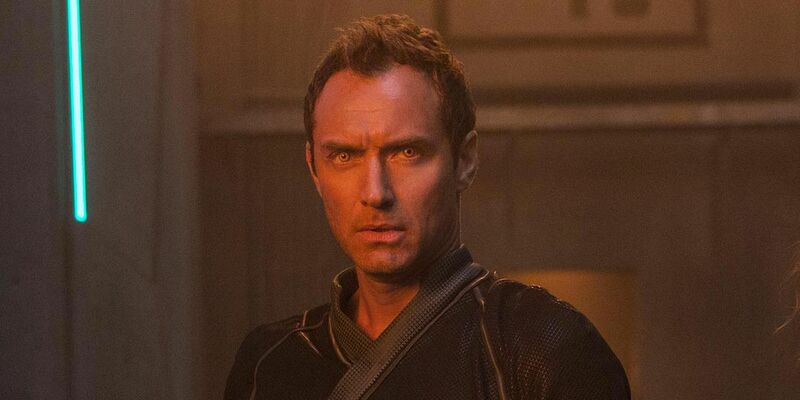 One of those Kree is “Vers” (Brie Larson), an orphan of sorts who was found one day on a planet known as “C-53” by Yon-Rogg (Jude Law) and raised the Kree way. She’s since become a super-spy, being gifted amazing power and undertaking dangerous missions to protect her home planet. One day, a dangerous mission goes wrong in every way, and it finds Vers taken by the enemy. Managing to escape in a pod, she crash-lands back on C-53. As too have some of the Skrulls, who are looking for a light-speed engine for unspecified reasons. Of course, their mere existence on the planet means trouble. And yet, there are pieces that don’t add up. Vers is seeing memories that aren’t hers and starting to doubt her upbringing. Coming in contact with young S.H.I.E.L.D agent Nick Fury (Samuel L. Jackson), Vers will figure out who she is, and her vast, internal power. Capturing the origins of a superhero movie on the silver screen rarely turn out to be amazing and/or genre defining. If not including Batman Begins and looking solely at the offerings within the Marvel Cinematic Universe and the DC Extended Universe, only two, maybe three can be considered top-notch in Iron Man, Wonder Woman, and Guardians of the Galaxy. Save for the utterly deplorable (hello Green Lantern and 2015’s Fant4stic), everything else is spread across the prism of “That was solid” to varying degrees. Including Captain Marvel. Save for Iron Man, recall how the first few Marvel origins films were just a little off for a myriad of reasons? It takes some time for any average human to be fully comfortable in any component of life, whether that be a position, a relationship, or a titular comic book superhero. The casting was on point, but it still took Chris Evans and Chris Hemsworth their 2nd starring turns as Captain America and Thor, respectively, to really come across as supremely comfortable with their characters. As Danvers/Captain Marvel, Larson’s overall performance feels in a similar fashion. The early part of the script doesn’t exactly do her favors but there’s a searching aspect to her performance that prevents the audience from fully getting invested into her. They’ve got the right person, and in future roles, one has to think it’ll only get easier for the Oscar winner. Making the jump from indie-focused films to a mega-blockbuster is no easy feat, and that is the task that co-directors/writers Anna Boden and Ryan Fleck tackle. Collectively, the two pass this test, not with flying colors, but a pass nonetheless. 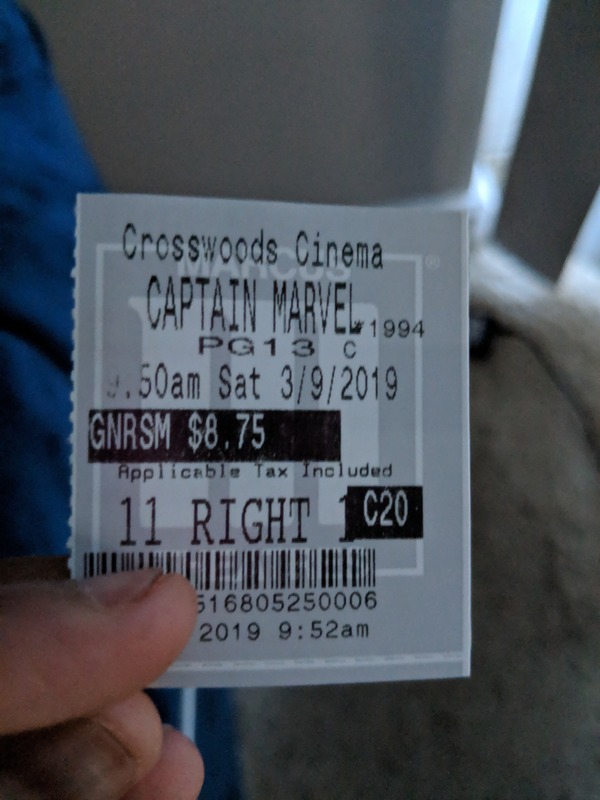 Make no mistake, the first 20-30 minutes of Captain Marvel aren’t better than mediocre, and kind of rough at the absolute worst, both from an aesthetic standpoint in the first big set-piece as well as the storytelling in general (memory-fueled montages are used heavily in two extensive scenes; the second time fares much better after we’ve spent some time with Veers). 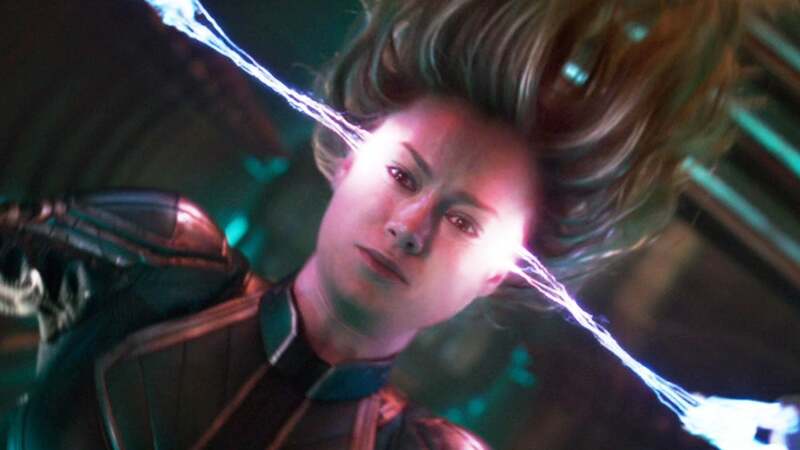 Give it time, as once the film hits its halfway point and the “twist” is revealed, Captain Marvel settles into a groove, outfitted with a pleasing finale set to No Doubt’s Just a Girl. Outside of its obvious genre placement, Captain Marvel incorporates a few other sub-genres, most notably the buddy cop. Larson and Jackson are the duo, and their energetic chemistry definitely carries the movie through its meh patch. Jackson in particular—de-aging computer-generated imagery and all—has never been better in a Marvel production. Law plays the basic role any superhero movie needs soundly enough. In a surprise from his recent turns, it is Ben Mendelsohn who gives substantial heart to the story. Superhero origin flicks are sometimes like eating vegetables. Some taste great, others you could do without. But in a way, they’re needed so that you get your nutrients/backstory, and better appreciate the main staple of the dish/next adventure with more context. Let’s say Captain Marvel is cauliflower. Never will be thought of as an elite-tier vegetable/origin film, but certainly above the bottom. Photo credits to go ign.com, vanityfair.com, and screenrant.com. I gotta admit I enjoyed this one quite a bit mainly because of that buddy cop element. I like that the movie had a more personal angle to it instead of the universal stakes. And this is definitely Fury’s meatiest role. I do think it misses out on digging into who Carol really is. There is a good character there that we learn some things about. But I felt it could have went deeper. A C+ for me in any genre is still recommendation status. There are definitely some things I cared less for, and I do believe that the first 20-30 minutes are a little rough, but the 2nd half does find footing. I think it’s pretty mid-tier Marvel/superhero fare overall but something I still recommend (like anyone cares lmao) just barely.